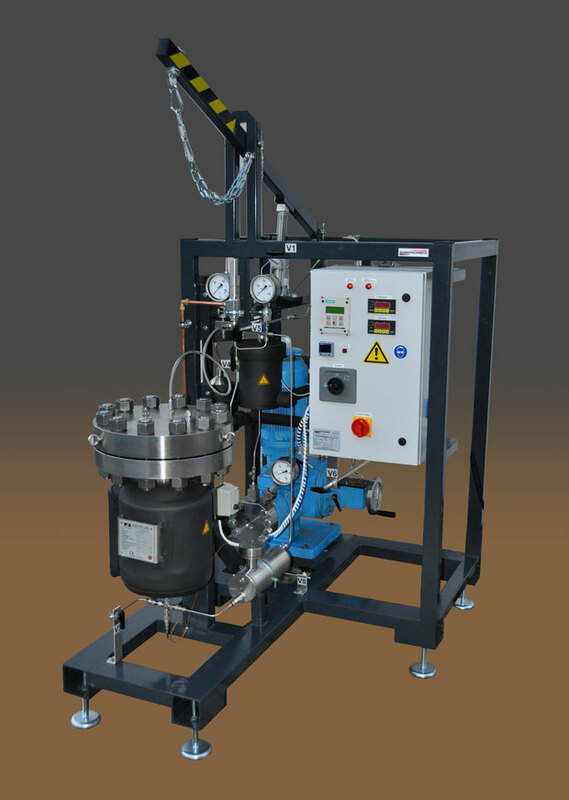 The Pilot Scale High-Pressure Extraction Unit is designed for process studies and small productions. The solid material is placed inside the extractor. The extractor contains a fluid heating jacket. The solvent (e.g. CO2) is pressurized using a high pressure membrane pump. The extraction pressure is regulated automatically. Downstream of the expansion valve the extract is precipitated in a separator at decreased pressure and the recycled solvent is passed to the pump inlet after being condensed by a chilling unit for pumping to extraction conditions and closing the solvent loop. The extract is collected at the bottom of the separator.